I love this book! 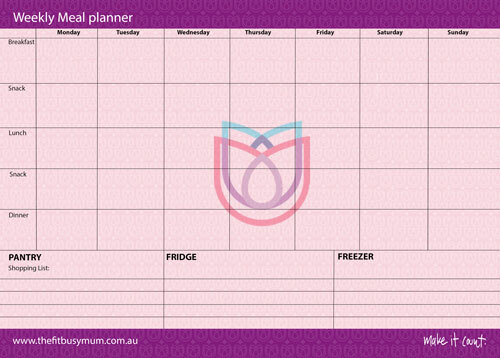 I love the ideas she comes up with to keep things ‘real’ for mums to keep on track. I love hints and suggestions to make small but substantial changes to my routine. I am one who needed a kick up the behind to get moving again, but a gentle kick, not one that was going to make me feel worse about myself. Rosemary’s advice is not harsh like others and left me feeling like l can do this. I have stated getting up earlier every day and find that that extra hour gives me a chance to get the day started and feel on top of things. I’ve given it to a few friends for birthday gifts too as they wanted to know how l got my mojo back! Love it! 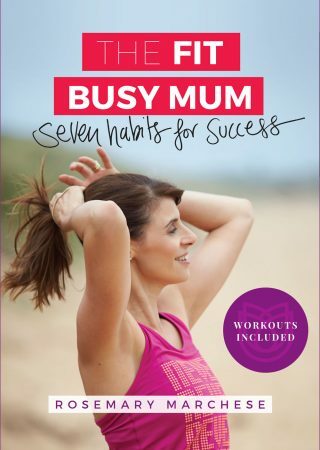 Like a lot of working mothers I have found it incredibly hard to find the time to get any exercise and fitness into my life in the somewhat well-meaning-but-misguided notion that my needs should be the last on my priority list. The Fit Busy Mum book has provided me with great suggestions and I have put the habits in place to make sure that I find even just fifteen minutes a day to improve my fitness and rise above my “I cant be stuffed” moments. It is written clearly, sensibly and positively. 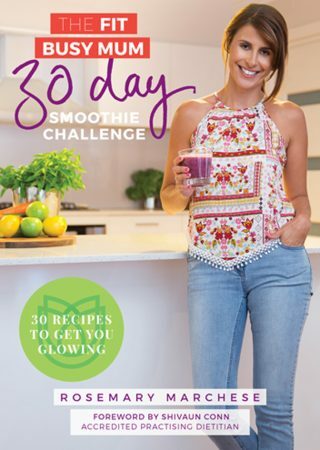 Definitely not just another fad diet and exercise book but something that helps you feel awesome! The Fit Busy Mum is a great read with easy to follow information that can be taken in by chunks at a time in between other activities. Rosemary gives us a shakeup and stresses how important it is that we make ourselves a priority in order to re-energise, increase our self-esteem and to stay strong and healthy in order to be able to look after others.